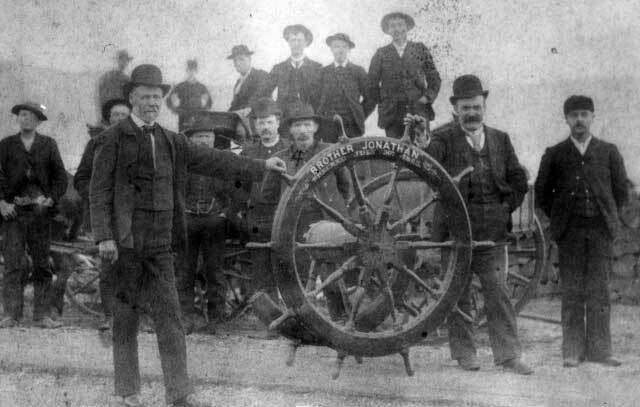 Captain Dynamite Johnny O’Brien sailed the seven seas for over sixty years, from the late 1860s in India until the early 1930s on the U.S. West Coast. 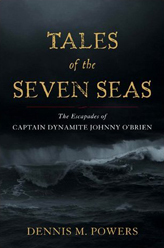 He sailed every type of ship imaginable, but this book is more than the story of Captain O’Briens incredible feats. It tells of sailing over the oceans from the nineteenth to the twentieth centuries, when danger and adventure coexisted every day. The reader will smell the salt in the air and hear the ocean’s rush as the ship sails with hardened men, leaking seams, and shrieking winds. Based on the original journals of Captain O’Brien, the stories are about tough times and courageous men in distant places, from the Hawaiian Islands to the Bering Sea, from the waning days of the age of sail to the dawning of the age of steam. 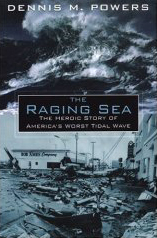 In the 19th century, an intrepid, reckless group of men ruled the ocean. Known as “wreckers,” they earned their living by rescuing and raising sunken ships, even in the face of monstrous waves and fierce weather. To some, they were heroes, helping to rescue both passengers and ships with courage and skill. To others they were ruthless pirates, who exploited these shipwrecks purely for their treasure. 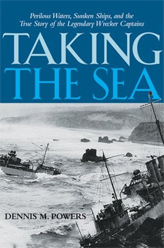 In Taking the Sea, Dennis M. Powers uncovers a fascinating period in our history. Here he traces the journey of these legendary men through the story of Captain Thomas P. H. Whitelaw, the most important ship salvager of his day. From their early beginnings when needy European villagers followed stricken ships in the hopes of improving their lives a little to the heyday of fleet American clipper ships and later huge steamships, Powers offers a compelling portrait of the wrecker captains and the dangerous lives they and their men led. From the Atlantic Ocean to the Pacific and Bering Sea, we travel along with these men as they faced the savage seas to save stricken ships and frightened passengers. Beautifully written and vividly told, this is a magnificent look at the untold history of the fearless and at times mercenary men who made their living from the sea. Miles off the coast of Northern California lies one of the most hazardous reefs off the West Coast. For over a century, it has been home to the most remote, most expensive, and most dangerous lighthouse ever built in America. 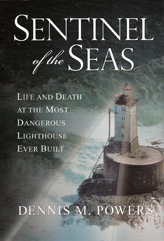 The sentinel took ten years to construct and cost as much as twenty conventional lighthouses. To build the St. George Reef Lighthouse, Alexander Ballantyne—probably the only man alive who was qualified and brave enough to supervise such a difficult project—faced incredible hurdles, including the haul of six-ton granite blocks onto a spit of washed-over land from a quarry seventy-five miles away. In 1937 Georges Roux, the tough, long-time head lighthouse keeper, was trapped for two months by howling winds and stories-high waves with his crew on the verge of mutiny. In 1951 a rogue wave capsized a Coast Guard launch being lowered from the lighthouse and three men died—as others did over the years. Based on five years of research drawing on the National Archives, original journals, and personal interviews, Sentinel of the Seas is the first book to capture the tumultuous history of this astounding engineering feat and the lives that were influenced by it. 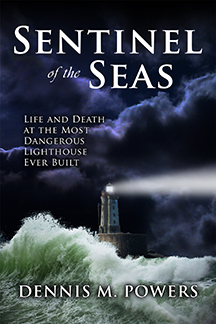 The author takes readers back to the dawn of lighthouse design, charting the dramatic moments and courageous people that struggled against the oceans and culminated in the singular experience of St. George Reef. 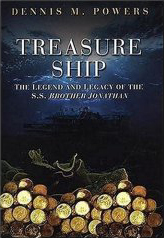 Treasure Ship tells of the harrowing tale of the last voyage of the Brother Jonathan, the carried gold, and her passengers, which included prospectors, dignitaries, card sharks, young families, and even a notorious madam with seven of her “soiled doves.” For more than a hundred years the ship’s treasure remained one of the Pacific’s great secrets, as countless expeditions searched for the ship and her treasure. Finally, the unique thinking of the Deep Sea Research team led them to the ship’s resting place. 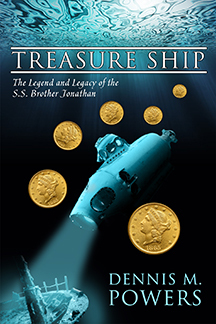 They brought up well over one thousand gold coins and a lot of trouble, as descendants of the passengers, shippers, the state of California, and the salvors vied for ownership of the treasure. The dispute raged all the way to the Supreme Court, where a crucial precedent was set that now governs all treasure hunters. Another battle broke out over the authenticity of historic gold bars secretly recovered from the Brother Jonathan in the 1930s—a battle that still resounds among collectors and gold experts. 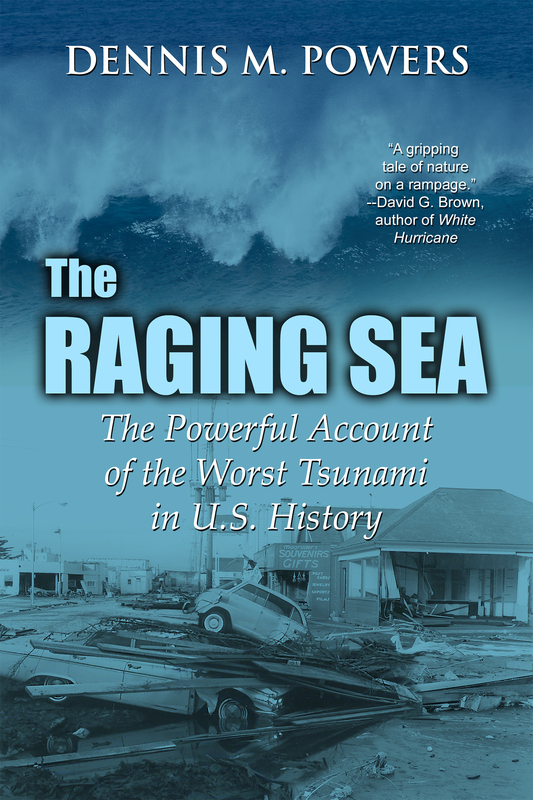 The first book devoted to the shocking events of the Alaskan tsunami that crashed down the U.S. West Coast and virtually destroyed a small Northern Californian town. Based on long research and interviews with survivors, this account chronicles the moment-by-moment efforts of people to survive—or not—and the iron will of a community determined to survive. © 2005-2015 Dennis Powers All rights reserved.